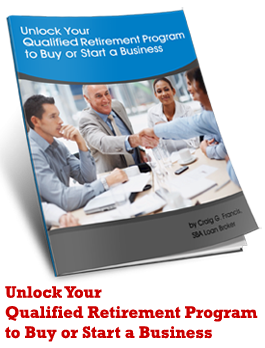 You may be considering an SBA Loan to buy or expand your business. The reality is that SBA Loans are not right for every business, those that they are right for may hold an exceptional opportunity in 2011. An SBA loan is a government-guaranteed bank loan that can range from $10,000 to $5,000,000. That loan's APR rate is set by law at no more than 2.25% over prime for loans up to seven years maturity and 2.75% over prime for loans over seven years. Of course, the actual final rate will be determined by the lender. Craig G. Francis, is an SBA & Commercial Loan broker who has placed over 2500 loans for over a billion dollars of financing. As this economy adjusts in 2012, it's very clear that the small business owners will be the ones to create more jobs. Right now big businesses are streamlining and figuring out how to get more productivity out of fewer workers. Therefore, the creation of jobs has to be placed on the small business owner. With the change in the economy people are reinventing themselves by either starting a company or looking for a new job. The forced entrepreneur and the small businesses owner are creating and expanding the companies that will give the bulk of the new jobs. Consider an SBA Loan to expand or buy a business? Please find below links to our sites that hold more information from SBA Loan Broker Craig G. Francis. 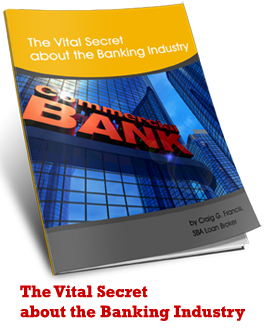 http://CraigGFrancis.com The Blog about SBA Loans, Banks, Tips and the current climate and opportunities in SBA Loans. http://viddler.com/sbaloanstore Has the latest videos available from Craig G. Francis and SBA Loan Store. http://SBALoanStore.com This is the DIY Do it yourself website that offers information on SBA Loans. Warning: Please do not confuse SBALoanStore.com with thesbastore.com. An SBA loan is a government-guaranteed bank loan that can range from $10,000 to $4,000,000. That loan's APR rate is set by law at no more than 2.25% over prime for loans up to seven years maturity and 2.75% over prime for loans over seven years. Of course, the actual final rate will be determined by the lender. Who should apply for an SBA Loan? If you are interested in acquiring a building for your business. If you have an established business that wants to expand. Who do you know that could benefit from an SBA Loan? Craig G. Francis, is an SBA & Commercial Loan broker who has placed over 2500 loans for over a billion dollars of financing. We are currently looking for entrepreneurs, current small business owners, and projects that can benefit from SBA Loans. As this economy adjusts in 2010, it's very clear that the small business owners will be the ones to create more jobs. Right now big businesses are streamlining and figuring out how to get more productivity out of fewer workers. Therefore, the creation of jobs has to be placed on the small business owner.